Whether you’re doing a Whole30, eating paleo, or just enjoy good, nutritious food, homemade bone broth is one of the best things for you. I use this in recipes that call for beef broth, or drink it on its own as a terrific source of nutrients, minerals, and vitamins. The first time I made my famous curry beef stew using homemade beef broth instead of the thin, flavourless store-bought broth, it was like an entirely new recipe. I honestly had no idea it would make such a huge difference. Hubby and I kept remarking on it the entire time we ate the stew. (Yes, you’re right, we do lead very exciting lives!) Try this once, and I guarantee you’ll see exactly what I mean. A good bone broth does take a long time to make, so start at least a day or two ahead of time if you have a particular recipe in mind. The good news though is that it requires very little actual work from you – it’s almost all simmerin’ time. The biggest pain I find is the real estate it takes up on my stove for two days. It’s totally possible to make this in the slow cooker and save stove space that way, but in the amounts I make it, I have to use my stove because I need my giant stock pot to hold almost twice as much as my slow cooker. Start with a big batch of beef bones. I’ve mentioned before that we buy pastured beef a quarter of a cow at a time from the farm down the road. Some people leave the bones at the butcher, but not us! You can also get bones from your local butcher or beef farmer, just let them know you’re making broth. Estimate about 7 pounds of beef bones per gallon (about 4 litres) of water, and choose as many joint bones (knuckles, tail bones, chine bones) as you can for the collagen. Start by roasting the bones on a baking sheet at 350 degrees for about an hour. We’ve skipped this step before and the broth still tastes good, but roasting the bones gives it extra flavour and colour. Put all the bones into a big stock pot and add enough water to cover all the bones. Add a chopped up onion, two or three carrots, any vegetable scraps you might have, and a couple tablespoons of apple cider vinegar to help leach the minerals out of the bones and into your broth. Bring the water to a boil, then turn it down to simmer on the back of the stove for 24-48 hours. Once it’s done, strain out all the solids, skim the fat, and use your bone both anywhere you’d use stock. If I’m not using it right away, I find it simplest to let the broth cool and refrigerate before skimming off the solid fat. Bone broth freezes very well too, so we like to make big batches and use some now, some for later. Don’t be alarmed if it cools into a big lump of jello in the fridge. 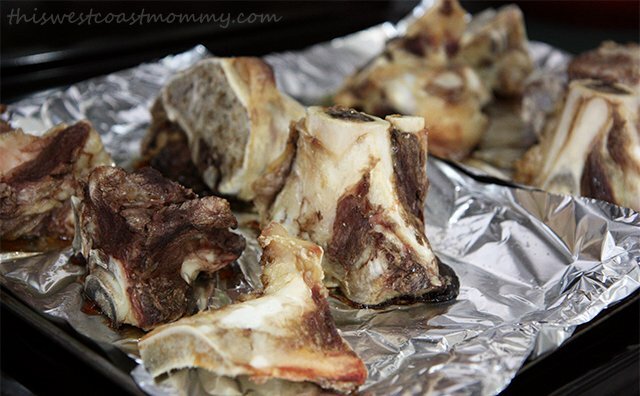 That’s the sign of lots of yummy healthy gelatin in your stock and exactly why you wanted those joint bones in there. Clearly there’s way more going on in homemade stock than the stuff you buy from the store! And the nice thing is that you can do it all over again with the same bones. Just add new water, vinegar, and vegetables, and make another batch! Roast bones for an hour at 350 degrees. Turn heat down and simmer for 24-48 hours. Strain out the solids and skim the fat. Store in the fridge for up to 7 days. Freeze the excess. I love this stuff and the health benefits that go with this are awesome too, I like doing chicken feet for chicken broth and I use my crockpot, it does take forever but the house smells so good and we like just drinking the broth when it’s all done, very tasty, yummmm!! I’m going to have to go back to the market and get me some more feet, I’ve got a craving for some bone broth now..lol!! Mmmm, I love making my own chicken broth for soup. I use the bones after we eat a roasted chicken. This sounds amazing. My husband would be thrilled if we bought a quarter/half a cow too. He loves his beef! I’m actually making this right now. A smaller batch though, in our crockpot. I’ve made chicken bone broth before but this is the first time I’ve made beef. I’m hoping it turns out alright. I make most of my bone broth in the Fall and bottle it for use throughtout the year. Yes!! And its so good for you!! I never knew it was this easy!! We will have to try it!! My grandma used to make it all the time but I never did. I may try it now. I always buy my beef broth from the store. I think it would taste better if you made your own. Thanks for the recipe. We make our stock all the time at home for beef, chicken, and pork. It is so much yummier then the store bought broth, plus we don’t add as much salt so it’s healthier, too. The store bought stuff has both salt and sweetener (what the heck?) added to it. Homemade is definitely the way to go! Thank you for the detailed instructions, I’ve been wanting to try this out. This is a great recipe for this and much easier than what I was doing, I find making your own broth just makes your food like soups and stuffings taste so much better. I love using beef broth for soups and stews.It’s just fabulous for a taste boost in flavor.Thanks so much for your recipe, and how to do it. Anybody have any tips for people who don’t have a local butcher or anything? :\ I’ve always wanted to do this but I have no idea where to get the bones from! If you cannot find it locally, you can buy grass-fed beef and bones online through US Wellness Meats. I’m not sure how the cost stacks up though. I like beef broth soups. Thanks for sharing. It beats bouillon cubes. Thank you for joining Delicious Dishes Recipe Party this week! Hope to see you again next week! I don’t find it much work at all. It’s basically just putting some bones and veggies in a pot and simmering them for a long time. The payoff is worth it! I love having broth on hand its good for many things,soups,stews i also use it in savory dressing,rice. I have never done beef broth but have done chicken broth for soups and the difference in taste is amazing so can imagine how delicious this would be. Thanks for sharing! I always have beef bones on hand but didn’t realize it was so easy! I freeze my homemade chicken and turkey stock, I will be adding beef broth now too! Thanks! Beef broth makes the best gravy. It has a lot of flavor and broth is better then using beef stock. This is such a nice and healthy idea. I cannot wait to try your recipe out. I’ve never tried making beef broth but would love to try! Thanks for the recipe. I know people who save the bones from their cooked roasts or steaks and then make the broth. Not sure how that would turn out?? You’d need a lot of them, and you’d need to add some connective bones (knuckles, joints, etc.) for the collagen, but you could totally recycle bones from dinner to make broth! This looks fantastic! We’re moving soon and I’m going to be near a butchers. Can’t wait to see if I can snag some bones to try this recipe out. 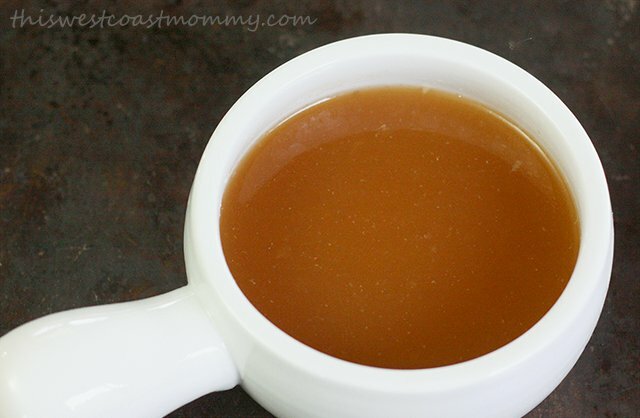 So many good uses for bone broth! 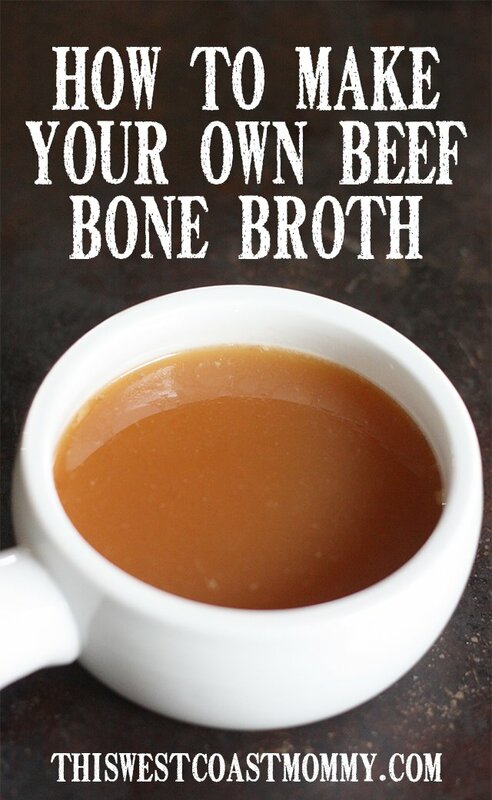 This is such a great idea… I am always needing broth for one thing or another. I am going to check with my local butcher or even at our store to see if they can be purchased there or not. I make homemade noodles and soups and can’t wait to see what I can get from the store to start making my own broth!. thanks for the info. I’ve never tried to make beef broth but with the price of beef these days I’m going to use as much of it as I can. Thanks for the great recipe! 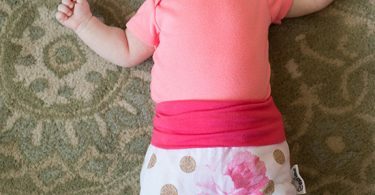 I plan to make bone broth for my baby, it’s so healthy! This is good stuff! I started making bone broth after our family had a nasty battle with a stomach virus. 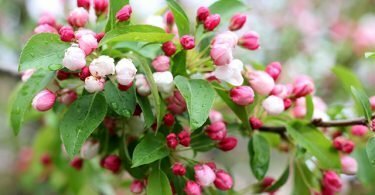 I was looking for a great way to reset our gut flora and begin to heal. Well this did the trick! Now anytime the kids have even the slightest upset stomach, regardless of the cause, they ask for “beef juice”! Im keeping this recipe. So easy and good ! Thank you for sharing! Thank you for sharing and making it very clear instructions, with explanations why you chose to do this why….it makes me believe even I non-cooker..like me can do it too! I have never heard of roasting the bones! I can’t wait to try it! Thanks for sharing! Thank you, I will definitely try this out.